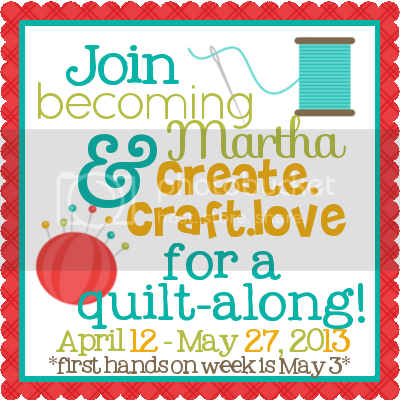 3 Monkeys' Mommy: I've Taken the First Step in My Quilt Journey! I'm dying to share my progress in this journey to make a quilt! Well, two quilts... but I'm thinking of it as one because I am making them out of the same fabrics for my boys for their bunk beds. If I think of it as if its one quilt it makes the project seem less frightening. I will be doing all the prep at the same time, so that's basically like just doing one anyway..... I repeatedly tell myself..... Pretty much... one quilt. So, last weekend I checked out a new fabric store. 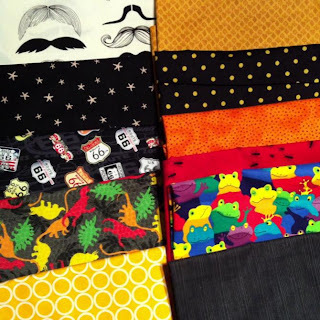 There are only two fabric stores in the area I'm from (that I am aware of), and I have been really wanting to go elsewhere! I had that opportunity and I'm so happy I did! I got 6 super cute prints in a very small amount of time. Its way, way, way, way harder to pick out complimentary prints than I had originally thought. I can't believe it. I was happy with the 6 that I found, and decided I would continue looking at a later date. 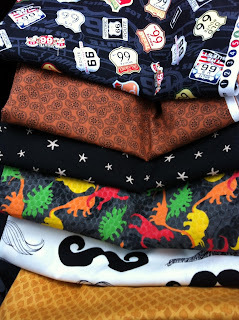 Earlier this evening I made the trip to one of the local fabric stores on a mission to find the rest! Let me tell you that this was no easy feat... I think I spent nearly an hour and a half trying to match up prints! I have learned something... people who work in these fabric stores are NOT willing to advise on fabric choices. Not at all. I was looking for fairly explicit answers to my, "What do you think?". I wanted this woman to yea or nay my choices. The helpful sales lady kept using replies like, "You could do either", "As long as you think it will match the room", and, "What do you think?" What I think is that I am a generally indecisive person who would like you to give me a yes or no! But, alas, I was able to choose what I now think is the perfect bunch of complimentary prints for the boys' quilts. Now the keen eye will notice that one of the top prints is not in the bottom photo. The poor, sweet, brown & black paisley pattern is going become part of my fabric stash as I just couldn't seem to make it work. I still love it just as much, but I'm now thinking that I will save it for the quilt that I will eventually be making for my youngest. Eventually. Hopefully this project will be as easy as I am hoping and I will still be motivated to make another one someday. Check out the Quilt Along. Maybe you'll join me?